After several years of trying to get this short sword off of a friend of mine, he finally let me have it. He found it back in the 60’s at an antique store in WV. 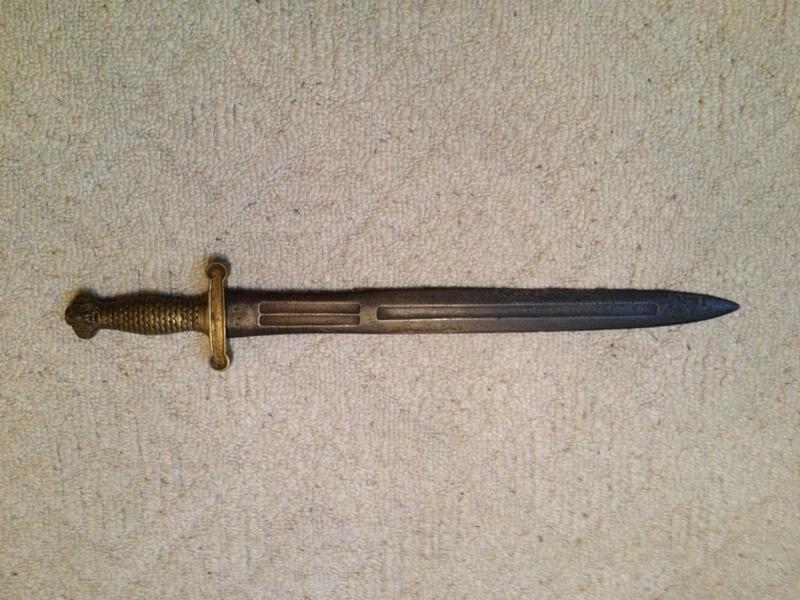 Upon closer examination, you can see that this sword had been dug up from somewhere. But he couldn’t remember where the owner of the store said it came from. This is a French import. Like a lot of other sword makers during the war, so many were imported. The Ames Company started making them in the United States, and they were called the Model 1832, which copied this French pattern. These were carried by the artillery foot soldier. Used mostly for clearing brush and such. The French designed these after the early Roman foot soldiers.